Then Paper Piecing might be the technique for you. I've thrown together a very quick step by step tutorial using different coloured cardstock to colour the truck from the 'Loads of Love' two step stamp set. 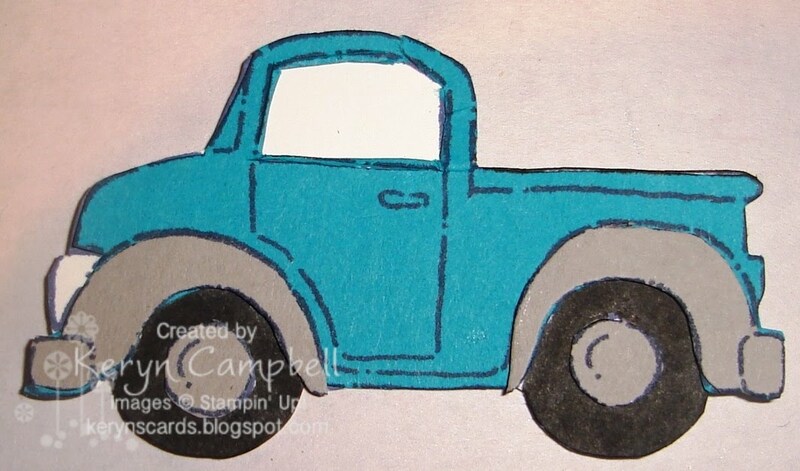 I first stamped the truck in 'Night of Navy' classic ink on white, going grey & taken with teal cardstock. 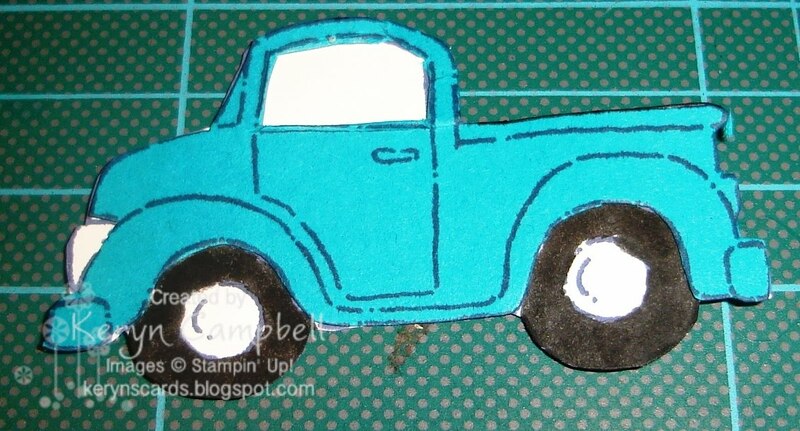 Then I cut right around the white image. Deciding it just wouldn't work stamping the image on black cardstock for the tyres I coloured those in using a Black Stampin' Write Marker. I cut around the Taken With Teal Image, cutting away the wheels, the window and front head light. While cutting away the window I accidently ripped the top piece of the frame so haven't been quite as precise in my cutting as I would normally have wanted. 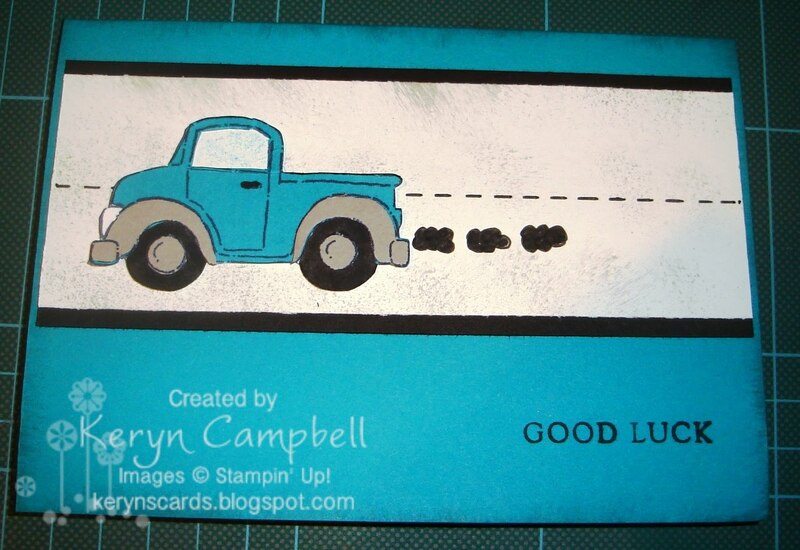 I used Two Way Glue to attach the taken with teal image over the white one. 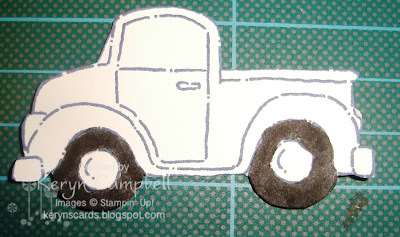 From the Going Gray image I chose to cut out the wheel arches, bumpers and hub caps and attached those over the truck image using two way glue again. 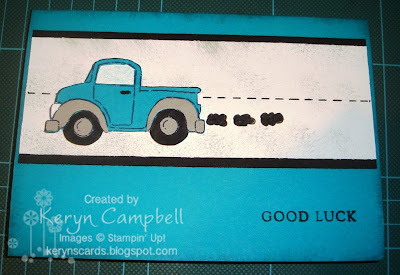 Adding a Taken with Teal Cardblack some Whisper White and Basic Black cardstock for the road a bit of sponging in Going Gray classic ink and a greeting from the 'Basic Phrases' stamp set and the card is complete.